One of the main differentiators between a customer and a repeat customer is excellent customer service. If you’re struggling to build your repeat customer base it may be time to take a second look at your strategy and ensure that you’re truly wowing your customers with your sales pitch. We aren’t just talking about the wow factor that will draw people in; we are talking about the wow factor that will keep them coming back, that will encourage them to refer you to others and will help you to outshine the competition. There’s a ton of ways to take customer service above and beyond expectations. We know you’re busy, so we have compiled a list of sales pitch ideas to help you really WOW your customer. Your customer probably knows a lot about you and your business, so what do you know about them? 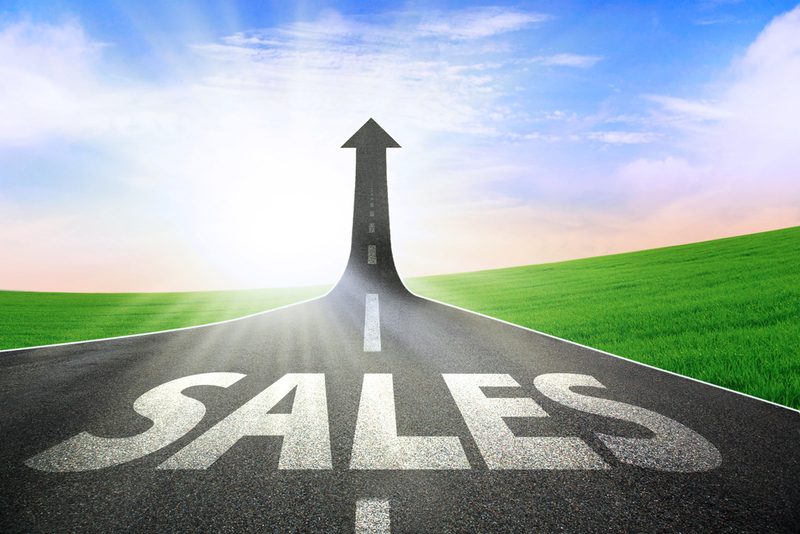 A good sales person knows their clients' business goals and objectives inside and out, but what else? Do you know that your contact person has two kids that play soccer on Wednesday nights? More importantly, why do you care what your client is doing in their personal life? Well, here’s why: because maybe your client finds Wednesday to be a very hectic day. Come 3:00 p.m. all they can think about is wrapping things up and getting out of the office at 5:00 p.m. on the dot to drive their children to soccer. Which means it’s probably not the best time to be contacting them and delivering your sales pitch. Instead of catching those at the end of their work day try the next morning. You know what else would be nice? If you started the conversation by asking who won the game. Not every customer is going to share this kind of information about their personal life, but as you develop relationships you will start to learn more and more about them outside the business world. So instead of letting it go in one ear and out the other, pay attention and make note of these snippets of information. Did they mention it was their birthday? Write it down and send them a card next year. Do they have a dog? Next time they make a purchase send some dog bones along with it. Not only will it be a nice surprise, but it will show them that you have been listening and that you truly value their business. How can I help you? How can my product or service help you reach your goal? These are the kind of questions your sales pitch should answer for your customer. Customers care about their business goals and objectives, so you should be offering a specific tailored solution instead of telling them about your product or service. Shift your focus to the outcome and talk about the ROI they’ll gain or the daily struggle they’ll eliminate. Do your research and figure out what they really need. The customer likely has some ideas about what they need, which is probably why they came to you in the first place. Take some time to sit down with them, or chat over the phone, to hear their thoughts and ideas on the situation. Never dismiss any of their ideas, but instead analyze and work with them to potentially pull some aspect of helpful information from them. Work with your customer to come up with a solution that you both agree will be effective and successful. That way when you show them the proposal there won’t be any surprises and they will feel more comfortable in their decision. Your customer will also have a better understanding of what’s going on and likely to work again with you again. Five minutes can feel like an hour when you’re waiting for something. It can feel even longer when you have a problem that you are waiting to get fixed. Keep this in mind when your customer reaches out to you. It’s your responsibility to respond in a fast, efficient manner. If you don’t follow up right away there’s a chance they might look somewhere else for a solution. You want your customers to stay your customers. When you are looking to make a sale it’s important to be available and provide them with the solution they’re looking for. In order to make a customer feel valued they need to be delighted overtime. One aspect of delighting a customer is staying engaged and continuing to offer them educational information when they have questions and problems along the way. That way when they get to the final stages of the sales funnel they will feel 100% confident that they are making the right decision. Quick response time will not only show that you are dedicated to your business but it will also make them feel valued and important. 4. Don’t Say No, Say Yes! Using negative words in your sales pitch like “no,” “don’t” or “maybe” will discourage your customers or prospects from making a sale. Using positive words is one of the most essential aspects of customer service and developing a highly successful sales pitch. Instead of saying “no” or “maybe”, try offering a different solution. If what they are asking seems out of scope try to see what else you can offer that will still meet their needs and solve their pain points. Between meetings, traveling and running a marketing campaign, life is bound to get a little hectic sometimes. The same rings true for your customers. Take the time to notify your customers or prospects of upcoming events and promotions that align with their interests or business goals. This will be especially helpful for your sales pitch if you are in the midst of launching a new product or service. If you have the opportunity, share your new product or service at your next event. A launch event will relieve you from a traditional sales pitch and will feel more like a celebration. It’s your job as a sales person to get to know your customers and to understand their business, goals and objectives. That being said, consider what your customers are purchasing from you and how it’s being used. Is there something else you offer that would complement this? Does this purchase trigger additional needs? If something comes to mind offer it to them. You may even want to offer it at a discount depending on what it is. By anticipating their needs before they do will help you to establish yourself as a thought leader and help you to gain their trust. Don’t try to up sell them something they don’t need, rather suggest things that could be valuable to their business. Does your business go above and beyond? Have you wowed a customer lately or have you been wowed? Comment below and tell us about your experiences!